The inspiration behind Bali Transform Retreats comes from two women, both integral to the holistic world in Bali, who found the retreat offerings on the island lacking in a universal vision with many of these concentrating only on yoga. Together they wanted to design a retreat package that focused not only on the individual requirements of the guests but also on a variety of models for wellbeing and personal change, so as give their guests a variety of the very best transformational tools on offer. With their connections in Bali through both the Yoga Barn and Bali Spirit Festival they knew they had access to top practitioners and facilitators and felt it would simply be selfish not to share this with the world. 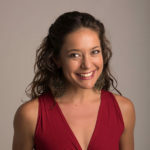 Marta, originally from Poland, is a holistic advisor, female empowerer and retreat facilitator who moved to Bali over 5 years ago to pursue her path of conscious living. In her pre-Bali life, she was specializing in training & development and cultural events management. In Bali, she first coordinated the biggest local festival, BaliSpirit Festival was 2 years, before focussing fully on group and individual retreats. Marta co-facilitated and co-created retreats with such amazing facilitators as Renee Martyna, from Hubud, the Curator of Women in Transition program; Baji Grace, the founder of The Catalyst; Michael and Sara Franti, the owners of Soulshine Bali adn facilitators of The Soulrocker retreats. She believes wholeheartedly in learning through real life experiences and is passionate about creating a safe space for people to grow, heal and transform. Since becoming the mom of her son Miki in 2017, she has steped even deeper into owning her gifts as a guide and facilitator and this is how the Mama & Child Retreat was created. 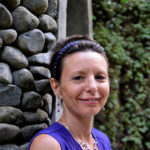 Meghan Pappenheim, originally from New York, has over 24 years of experience working in Bali and is the true embodiment of a social entrepreneur. 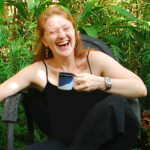 She moved here in 1992 after completing a BA Hons in Art History, Anthropology and Asian Studies and met her life partner, Kadek Gunarta, together they have gone on to develop a wide ranging bevy of businesses and non-profit projects including The Yoga Barn, Bali Spirit Festival and Bali Yoga Shop. 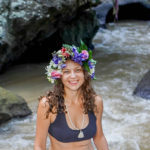 Her unparalleled experience and connections to both the holistic world and this tropical paradise give you access to some of the very best practitioners in their fields both local and international. Meg loves drinking red wine with friends, wearing extravagant sunglasses and laughing so hard it brings tears to her eyes. 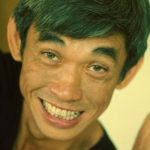 Suwardy Thony is a natural born healer, wise man and teacher who lives a truly Buddhist lifestyle. 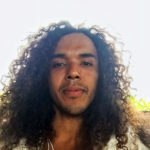 He is a certified life coach, teaches Timeline Therapy™ and is a practitioner of Hypnotherapy,Theta Healing Neurolinguistic Therapy and Reiki. This social activist and entrepreneur was born in Surabaya, lived for the greater portion of his life in Jakarta and moved to Bali a few years ago. 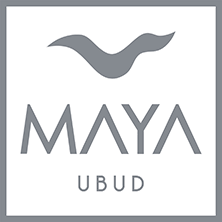 He now owns two popular vegetarian restaurant/community centres in Ubud. Renée is a former UN development worker turned social entrepreneur with a deep interest in the integrative arts. 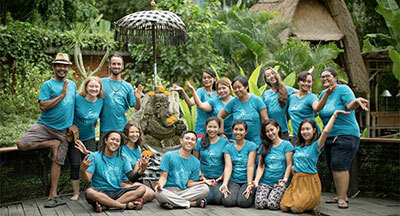 She first came to Bali to deliver retreat programs for burnt-out aid workers. Now she is the owner, program adviser and facilitator at Hubud, Bali’s first coworking space. Renée developed The Challenge Process to help people to make changes, get creative about solutions to difficult problems, build community and raise consciousness through the art of powerful conversation. The teachings of Gypsy Bast are inspiring, powerful, and playfully intelligent. They help us to discover the gifts of our true source – the power within us. 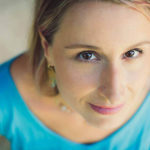 Connecting to divine principles and elements, her practices cultivate harmony, and she teaches vital techniques with love. Her students receive life-force transmissions through her teachings, and they can experience deeply profound, to incredibly challenging lessons that will activate change in their lives. Her studies come from over 25 years of training in the performing arts, yogic arts, anatomy studies, esoteric exploration, tantra and kundalini energetic, and basic life trials and troubles. Gypsy has healed her own injuries and traumas through her studies. She overcame a near fatal car accident with a broken skull, and learned how to heal her sub-conscious traumas, that trapped and waiting to be healed. Gypsy feels she was born to this work, she thrives in it, and teaching brings her joy, fortitude and passionate living. Moshe guides others to live in harmony within and with the world by focusing on Healing and Clarity. Through healing the past you have a clear knowing of who you are in the present. Through clarity of who you are, you move into your future with certainty from WITHIN. A session can involve energetic healing, guided meditation, belief work and connection practices. For more information check out https://moshehealing.com/. If you are looking for somebody to help you organise a retreat in Bali we are happy to help share our knowledge and expertise so you can create an unforgettable experience for your guests. This service offers everything you need including help finding a location, creating a retreat program, hiring teachers and dealing with local logistics. We want to share our know-how so everyone can benefit. So if you think we can help contact us now!